The Journal proposes to publish original research articles and reviews related to the various fields of humanities & social sciences. 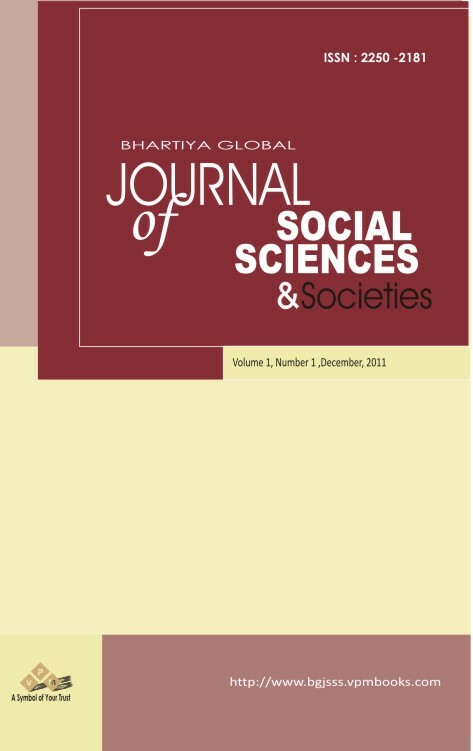 The BGJSSS, would publish the invited review articles. However, some comprehensive review articles of high scientific standards submitted to the BGJSSS may also be considered depending upon the contemporary relevance of the content, extent and comprehensiveness of the studies reviewed. The journal would be double blind peer reviewed by eminent reviewers in the concern field. The editorial board is constituted keeping in mind the quality of research work to be published. Meta analytic reviews are given preference over theoretical descriptive reviews. The submission of manuscript to the BGJSSS implies that the work has not been published or submitted for publication. Publication of the article in the BGJSSS implies that the public responsibility of the contents and views expressed in the paper will be of the author(s) and not of the publisher or the editorial board. BGJSSS ts a forum to help policy makers, researchers, and professionals to exchange their innovative ideas and thought-provoking opinions. It also creates a communication channel between practitioners and academics to discuss problems, challenges and opportunities in all aspects of our society. BGJSSS publishes research papers, reviews, reports, surveys, position papers, debates, case studies, innovative ideas, research notes, practice comments, book reviews, commentaries, and news. Special Issues devoted to important topics in society management will occasionally be published.